Performance Alloys in Motorsports MoldStar® Copper Alloys entered the High Performance Motorsports market back in 1999. Since introduction, MoldStar® Copper Alloys have been gaining steadily in popularity because of the success. MoldStar® alloys are the materials that will endure the widest range of combustion temperatures, shows compatibility with the widest array of mating materials/coatings and are compatible with the broadest range of motor fuels. MoldStar® copper alloys have found homes with winning teams in all motorsport racing sanctioning bodies, classes and vehicular/engine platforms. Typically MoldStar® alloys are used in "high end" racing applications being offered by racing component manufacturers by "request only" and not currently a "catalog offering". So ASK your component supplier for MoldStar® Alloys by name! Obviously, we cannot name all the teams and cars that utilize our MoldStar® alloys, but we can surely say "at any given event we are rarely not in the "Winners Circle". For Extreme/High Performance as well as OEM applications, MoldStar® copper alloy valve seats have become the market leader, setting new standards for diesel and gasoline engines, including lead-free fuel, E85, and for LPG/CNG and LNG applications. MoldStar® copper alloys provide the best combination of thermal conductivity and wear life when compared to any other product offered in the market. Even when other manufacturers say their products beat or compare, there is frankly no better, and no comparison! Unleaded Racing Fuels. When NASCAR® made the rule change requiring the use of "unleaded fuel", many teams found that the unleaded fuel formulation caused considerable valve seat deterioration. The NASCAR® teams already running the MoldStar®90 material, which had already been running for other reasons, did not see any problems with the MoldStar®90 seats with the change in fuel formulation. Questions spread quickly among the NASCAR® teams, "why are we having problems and other teams are not?" The answer clearly was the teams that were not having problems had already been running MoldStar®90 as the valve seat material. Many manufacturers of valves for racing are making changes in their manufacturing processes. The intent is of coatings to add durability to the valve stem and seat angle without adding weight. The application of coatings such as DLC (Diamond Like Coating) or PVD (Pressure Vapor Deposition) along with many other "branded" coatings is done to add wear resistance in combination with reducing friction. With these changes to the valves, so have come some new hurdles with valve seat and valve guide wear, resulting in less than anticipated performance and wear life. MoldStar®90 Wear Resistance against Coated Valve Seat Faces and Stems: MoldStar®90 has proven to be the material of choice in combination with ANY of the surface treatments currently being used or offered in the market. Applications have shown that MoldStar®90 materials form a microscopic surface layer of super hard "nickel-silicides" that is the result of heat and impact during the operation of the valve train. The longer the MoldStar®90 seats run, the more durable and harder the seat angle contact surface gets, without becoming brittle. WE CAN HELP! We invite you to utilize the free service of Performance Alloys to help in the selection of the grade of MoldStar® alloy material for your specific application in Motor Sport. If we cannot help with one of our products, we will tell you that too!!!!!!!! Broadest Range of Compatibility with Motor and Racing Fuels Applications have proven MoldStar®90 to be compatible and non-reactive when used in applications with Leaded, Un-Leaded, Alcohol, Nitromethane, Diesel and Bio-Diesel motor fuels. Our MoldStar®90 is even used in the production and transmission by major Petrochemical Producers. MoldStar®22 is a "premium" copper alloy from the aluminum bronze family of alloys. This alloy is an outstanding choice with a proven "track record" for both Lifter Bushings and Valve Guides. MoldStar®22 copper alloys resist frictional wear, due to the low coefficient of friction in combination with roller and flat tappet lifters. In addition to providing wear resistance, low ductility, high hardness and toughness of the MoldStar®22 alloy also resists mis-shaping or ovality due to high spring pressures and extreme travels of the valve train. Still using Cast Iron Valve Seats or not exactly sure which seats Cylinder Head Assemblers/Manufacturers use? Believe it or not when we talk to the manufacturers or assemblers of cylinder heads for racing or other performance applications, there is a surprising array of misinformation combined with some amazing folklore that seems to be the basis for the selection of the valve seat material. CONTACT US TO LEARN THE FACTS! What Material is your Component supplier using? 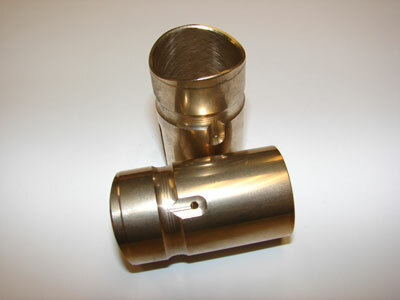 Commercial Bronze Alloys in Racing Applications. The fact is many component manufacturers use Bronze Alloys considered by the Primary Metal Industry as "low grade or commercial" brass or bronze. This is typically due to availability combined with low cost. Regardless of claims by some component manufacturers, it is unlikely any of them are using their own "formulation". This is because cost for "special or custom" formulated copper alloys would be absolutely out of proportion considering the sell price of the component. DO YOU REALLY WANT THE CHEAPEST/LOW GRADE MATERIAL ON THE MARKET IN YOUR RACE ENGINES OR IN YOUR COMPONENTS? This is one of the more misunderstood and misrepresented phenomenon with copper alloys. Most copper alloys offer high thermal conductivity, high mechanical strength and hardness are from a family of metals considered to be precipitation hardening materials. Another term used to define this heat treatment is an aging process. The specific aging processes are based on the copper alloy chemistry, which when aged in a controlled environment, determines the alloy hardness. In addition to affecting the chemical structure, the aging process also yields controlled levels of thermal and electrical conductivity. Precipitation hardening is done by heating an alloy to a specific temperature, then holding at that temperature for a predetermined period of time, then air-cooled. For stability reasons aging is done only after a solution annealing process. This means that the alloy properties are changed when exposed to time and temperature while in useby welding, surface treatments or some incident that heats the component to a temperature above the original aging temperature. Exposure to time and relative temperatures over the original aging temperature for a specific alloy can either increase or decrease the properties of the alloy. An occurrence called over aging can seriously affect the short and long-term performance of copper alloy mold components. Over aging also can soften materials to surprisingly low levels, where the components will fail because of lack of expected hardness. Or, over aging can reduce elongation and ductility to the point where the component fractures because it is too brittle for an application. Copper alloys, like steels, provide the most desirable performance characteristics at optimum hardness rather than ultimate hardness. Some alloy manufacturers provide products at the ultimate hardness in efforts to entice buyers with the highest hardness products. While other manufacturers provide products at the optimum, which in effect allows for the slight increase in hardness and lower ductility as a result of continued aging. Providing products at the ultimate hardness is a disservice to users because the ductility of the product is lowgenerally 3 percent elongation or less, which when used and exposed to ongoing time and temperature, exhibit even less ductility and eventually fail due to fracture. If someone told you that after running a mold 24/7, your components made of a copper alloychosen because it was 38-40 Rockwell Cwould start fracturing like glass, would you believe them? Those that dont soon find out that the copper alloys at 30 Rockwell C are the superior choice and will yield the longest lasting components. In other words, buyer beware of copper alloys offered at or near 40 Rockwell C. Like everything else in life. The lower the cost, the further back in the line-up you are and less visible you are. This is absolutely no more evident than in professional racing and with their sponsors. GET VISIBLE. It's worth it. Get out of the CHEAP SEATS, be part of the real action and enjoy the view from the FRONT ROW . 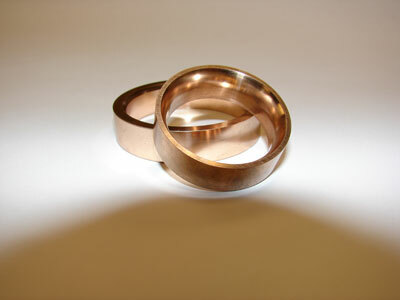 Use MoldStar® Copper Alloys! Acknowledgements of Trademarks: the "mark" NASCAR® is owned by the National Association for Stock Car Auto Racing, Inc., the "mark" MoldStar® is owned by Performance Alloys and Services, Inc.
Download time will depend on your connection speed.